Looks like they put up their other White cards, too. Try changing the file in the url bar to "wc-01.pdf"
Cipher Codes too?? Nooooooooooo. God i hate those. 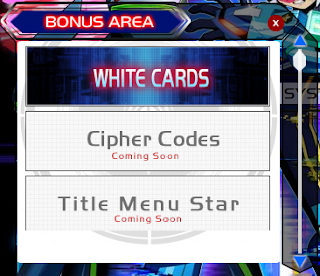 Back on topic though, the White Cards here seems quite interesting. I have all the cipher codes, too. Click the icon next to my name to see the spoilers. Downloadable content like in the JP version are available.